The ability to identify plants accurately was once an essential skill that is still hard-wired in all of us. This course aims to revive that latent ability, to make the identification of the British flora accessible and to enable participants to understand the ecology of plant communities. The course will use a combination of classic identification keys and other methods for the identification of plants and will include techniques for the identification of plants when not in flower. It will also explore characteristic assemblages of species and will explore the connections between vegetation and environmental and management factors. The South Devon landscape has a wide variety of semi-natural habitats including coastal grassland and heath, limestone grassland and the upland moorlands of Dartmoor and a very rich flora. There will be the opportunity to search for some of Britain’s rarest plants. This course aims to enable participants to identify common and not so common plants when in flower and not flowering. It will also explore relationships between vegetation, environment and management. It will take full advantage of the rich and varied habitats of south Devon and as much time as possible will be spent in the field. Philip Wilson has been botanising since his late teens and has been a professional plant ecologist for more than 30 years. He has worked with Plantlife, Natural England, The National Trust, Wildlife Trusts and many other organisations, carrying out habitat surveys, ecological monitoring and assessing rare plant populations. He lives on a small farm in East Devon where he manages two county wildlife sites with traditional livestock breeds. 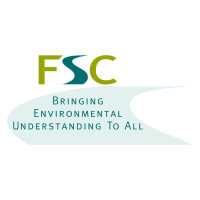 To book a place on this course, please visit the FSC website or contact the centre directly on 01548 580466.